Let’s face it, it’s 2019 and we all have a pretty good understanding of social media and how it works, right? But what if I told you that Twitter has 6 different forms of communication networks or that Facebook is most active on Fridays, do you still think that you’re a social media guru? Allow us to illustrate the true importance of social media marketing and the online marketing services we offer to ensure you stay on top of your game. 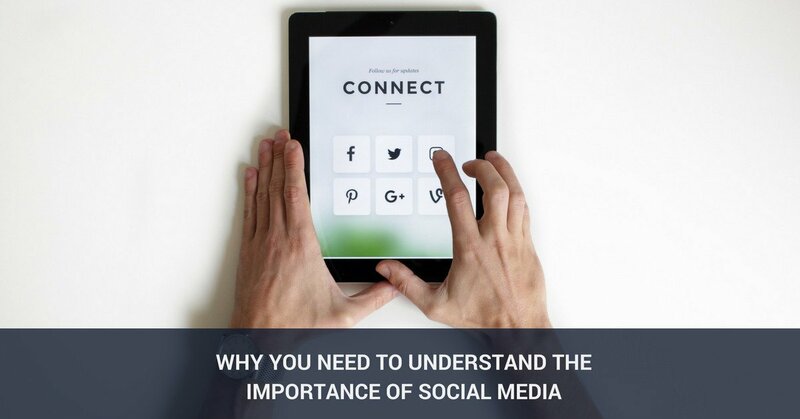 We value the importance of social media so much, we’ve even written a free downloadable white paper on the topic that includes the contents of this blog, benefits of social media, content tips and a social media strategy guide. Give us your email address and we’ll email you the white paper right away. What and Why Social Media? Let’s go back to the drawing board. What is marketing? As highlighted by the AMA, Marketing is the activity and process for creating; communicating and delivering offerings that have value to customers. Now look at social media marketing. Social Media Today argue that the purpose of social media marketing is to build a brand and increase a brand’s visibility, through building relationships and communicating with potential customers. The two seem to go hand-in-hand. But you may still be wondering, why social media? ‘‘Social networks are one of the fastest growing industries in the world’’. This statement does seem to be thrown around quite frequently with anything internet marketing related these days. However with a projected 25.0% annual growth over the next 5 years, it is definitely be time to start investing in social media if you haven’t already. This is so important we’ve added a fancy tweet-this box below…. partly to show off, partly to make it easy for you to share it! Like with content marketing, due to the continuously developing internet marketing industry, there are countless digital media and social networking sites, all of which have a unique characteristic and purpose. As part of an introduction, here are a few social network examples. Facebook is the biggest and arguably most powerful social network in the world with 1.55 billion active monthly users. Regardless if you are a startup or fortune 500 company, you need to be on Facebook and start *engaging with your consumers. (*Positively. We don’t want to replicate Amy’s Baking Company’s mistake). Twitter is known as the ‘‘in the moment’’ platform and boasts a respectful 255 million active monthly users. Twitter is a perfect online marketing tool for businesses that want to reach out to people (and are ready for a reply). The key is to be quick and smart, ever heard of dunk in the dark? Instagram is a visual platform designed for customers to post, share, comment and engage through digital media. As the old saying goes, a picture is worth a thousand words. LinkedIn is regarded as the professional social networking site. LinkedIn largely focuses on b2b marketing rather than b2c. Google +, Youtube, Foursquare and Pintrest are other social network sites that harshly miss out on the list. And then there’s Snapchat, the new kid on the block, who recently recorded six billion daily views. Should Facebook be worried? What’s your take on any of the above social networking sites? Are there any other sites you display your digital media and connect with consumers on? We’d love to know! Having a social media presence without an appropriate strategy and plan can be just as damaging for your business as no plan at all. We have created a social media marketing strategy checklist that should aid your online marketing operations. Set Goals – Start big and work down. Do you need to increase customer loyalty? Know your target audience – Don’t just use demographics but expand with psychographics. Social Media – Decide on which digital media will help you connect with your audience. Will this take the form of a blog, video, podcast etc? Social Network Strategy – Focus on a social network that adds value. Just because a network has over a hundred million active users doesn’t mean it will directly contribute to your brand’s objectives. Measurment and Testing – What does success mean to you? You need to constantly analyse your social media strategy to understand how effective it is. Engage with your audience, find out what works and what doesn’t. For some of you, investing in a social media marketing service may have been identified as the missing link connecting you with your consumers. However for the others, who are still contemplating diving into the social marketing end, look no further than the following facts. Social media marketing increases your brand’s awareness. 78 % of small businesses use social media to attract new customers. Furthermore 33% of customers have identified social media as how they identify new brands products and services. Social media marketing helps to validate your brand. A company’s social media presence, when done correctly, tells consumers that their brand is active and focused on thriving communication with consumers. 63% of consumers who search for businesses online are more likely to use ones with an informative social media presence. Need more help on how to validate your brand? Check out our branding blog. Social media marketing has the power to increase customer loyalty. 71% of consumers who received a quick response on social media would recommend the brand to others. What is your Social Media strategy like? If you’re struggling to put one together or to understand how to measure your ROI then get in touch with Growth Gurus! Do you need help creating an effective content marketing strategy for your business? If your current strategy doesn’t seem to be driving the results that you need, get in touch with Growth Gurus!